I love my amiibos. Many people leave them in the box, they are collectables after all. Not me. I can’t. They look too awesome and are too well made. My son and I play with them even with the Wii U turned off. Sure, they may get dirty or scratched but that’s ok. I’ve even had to glue Donkey Kong’s foot back to the base at one point, finally making perfect use out of that Gorilla Glue. Every day the value of my small amiibo collection goes down, but you can’t put a price on fun. When amiibo’s first came out, I laughed. I wasn’t going to pay $12 for something that gives me an extra Mii costume in Mario Kart. For a long time after the initial release, I kept that philosophy. 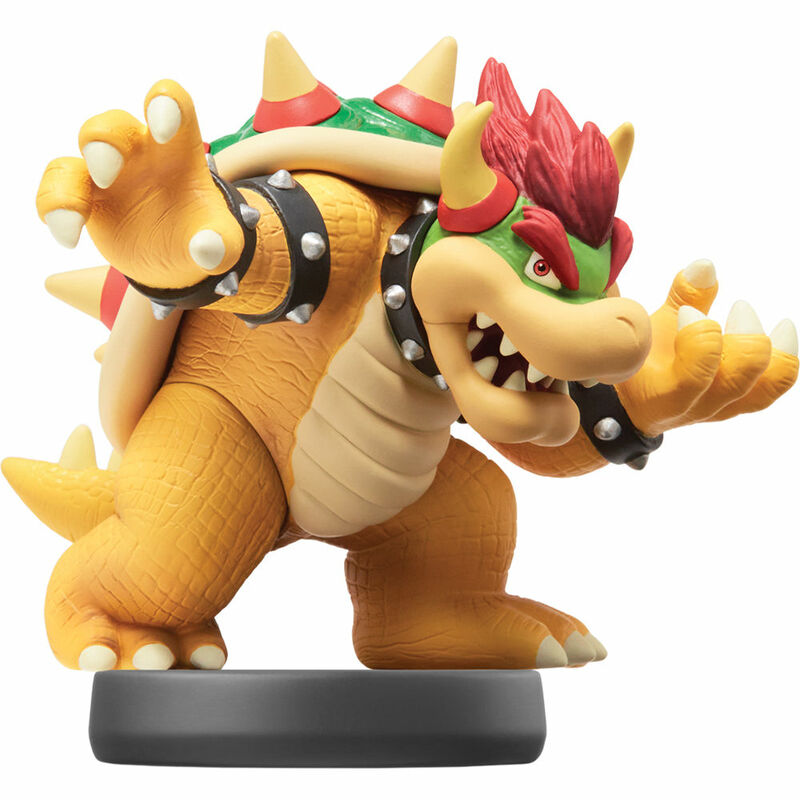 One day, while perusing through a local GameStop with my son, I came across the Bowser Smash Bros amiibo. “I have no need for this,” I thought. “But, man, that would look sweet on my desk.” I convinced myself at that moment to buy it, not for use with my Wii U, but instead just as a novelty piece to display my fondness for those that kidnap princesses. I have never had to fight addiction in my entire life. I don’t drink, I’ve never done drugs or smoked, there were those brief five years that I devoted my entire life to World of Warcraft, but everyone has their dark moments. But sitting there that night, looking at Bowser in all his glory perched atop my desk at home, I couldn’t help but think about two things. He could really use a friend, and what time does GameStop close? Now I have a bit of a problem. The first step is admitting that. I even tried to justify my purchases to myself through flawed reasoning in the beginning. I told my two-year old son that if he used the potty, I would buy him a new amiibo. Then I found myself yelling at him to hurry up and pee so we could go to the store and pick up Olimar. I bought him Mega-Man for Christmas even though he has no idea who that is. Sure, I spent my entire childhood hammering the B-button to make that pew pew sound I loved so much, but it was for him. Now, I don’t bother with the excuses anymore, I just go with it. 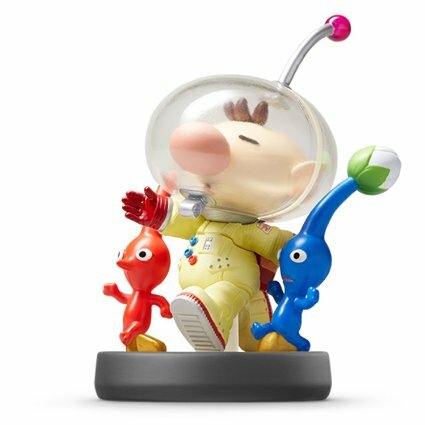 Unique amiibo like Olimar have so much detail! With my involvement in this craze now accepted by myself and my family, I figured I could talk about why amiibo figures are so great, what they need to improve on and what would be awesome in the future. I’ll start with the quality. Every amiibo figure is very well made. Even with removing them from the box and letting my son play with them on a daily basis, I can see these figures holding up for many years to come. Too be honest, $12 is remarkably reasonable for what you’re getting, and I’m not even including game play extras with that. But since I brought it up, let’s talk about game play. Many times an amiibo will give you an extra costume to use as in the case of Mario Kart, Mario Maker or Yoshi’s Wooly World. While cool at first, that novelty begins to wear off after a few plays. Where amiibo really shines is with extra content like in Splatoon which provides new levels and new gear and Smash Bros which allows you to level up and “train” your amiibo. There are other examples, like the extra game mode and game boards in Mario Party 10, but for many games, amiibo figure extras are currently relegated to quirky perks that you could do without. The good news is, I hope, that with the NX, amiibo figures are poised to play a more important role. There is usually a downside to everything and with amiibo that still holds true. The fact that some games under utilize the NFC (Near Field Communication) pieces is understandable this early in the game, but one thing I cannot look past is the availability. If you refer back up to that picture, every amiibo I own, except for Mega-Man and Bowser Jr., was purchased at a brick and mortar store here in Ohio. We have a lot of different stores that sell them here, however what I own is basically all they have to offer at each of those stores. In contrast they all sell hordes of Skylander/Disney Infinity pieces. 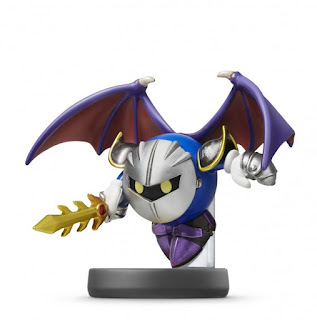 If I want Meta Knight or Little Mac I have to go to Amazon or eBay and pay a higher price to obtain these figures. My hope is that local stores will get a better selection as the amiibo line continues to grow. As we creep closer to the arrival of the NX, I would love to see these amiibo figures providing either extra levels/adventures in every upcoming game or at the very least, new playable characters with unique skill sets that you can’t unlock without the amiibo. I would also love some sort of Nintendo open world game like Disney Infinity where I can throw all my amiibo figures into the fray and level them up rpg style. I can picture my team of Kirby, Bowser Jr., Diddy Kong and Samus working together to plow through a level. So if you haven’t dipped your toes into the world of amiibo yet, I recommend just doing a cannonball like I did and getting it over with. If nothing else, they will look amazing on display in any Nintendo lover’s house for years to come. Will Nintendo make amiibo great again? Let us know in the comments below! 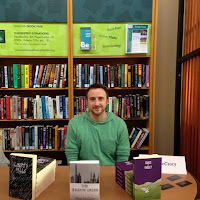 Matt McCrery is an author and avid gamer. When he isn’t writing a new novel you can usually find him sending seekers through Walleye Warehouse, yelling at his Mii to drive faster or trying to hide in the corner and hold that special flag for three long seconds. 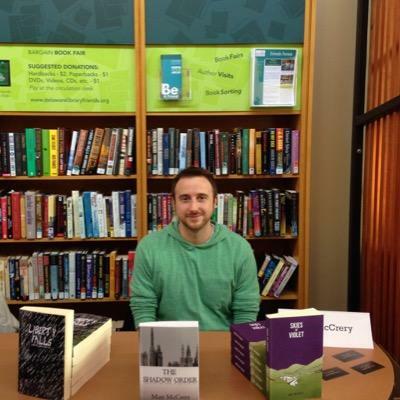 You can follow his antics on Twitter or buy his books on Amazon.